One of the biggest cons about living in Shishmaref is the lack of indoor plumbing. Yes that's right, Shishmaref has no central sewer system. The school has flush toilets and running water, but the houses don't. We are lucky enough that our little house is close enough to the school that our sink and shower are hooked into the pipes. Our toilet, however, is not. 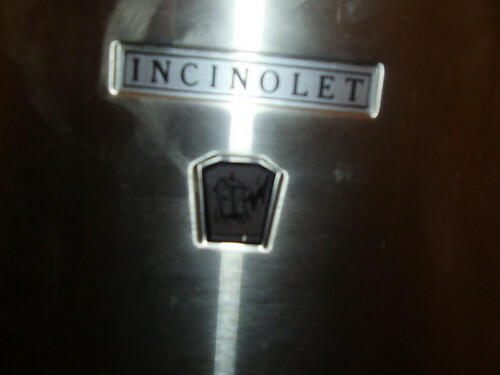 This was our first toilet, the Incinolet. It had a little oven at the bottom. We lined the top compartment with a paper liner. The little black foot petal on the bottom right would drop the liner, and any accompanying waste, into the oven, where it would be burned to ashes. 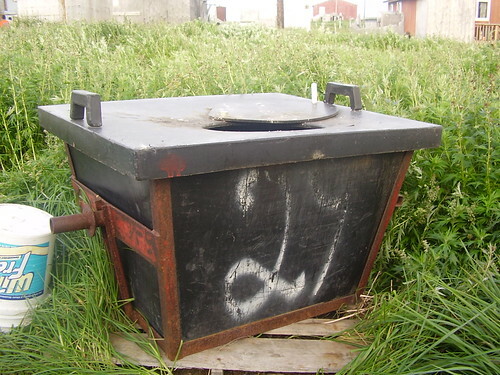 After a few months, we switched to the preferred toilet model around Shishmaref: the honey bucket. 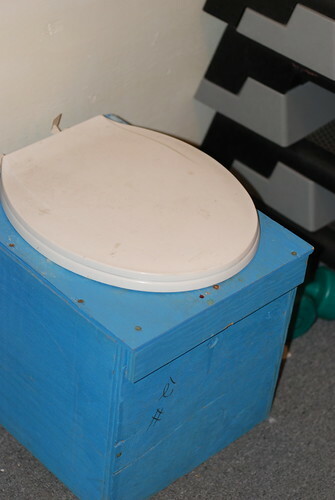 When the honey bucket is full, Steve takes it to a dumping container much like the one pictured above. The garbage bag full of waste is deposited in the big metal container. When the container is full, somebody calls the city. The city sends the Anuq Men (anuq is Inupiaq for poo). 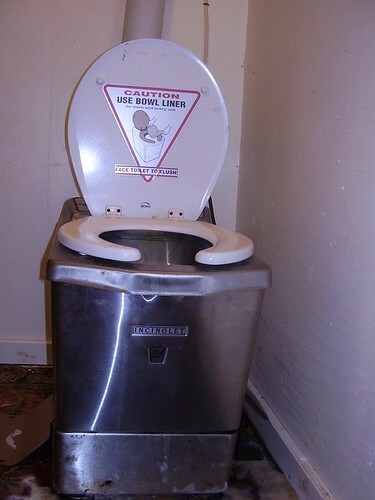 They come with a big vacuum contraption that gets rid of the waste. I have no idea where it goes from there. Our plumbing situation definitely took some getting used to, but I rarely think about it anymore. At worst, it is mildly annoying.